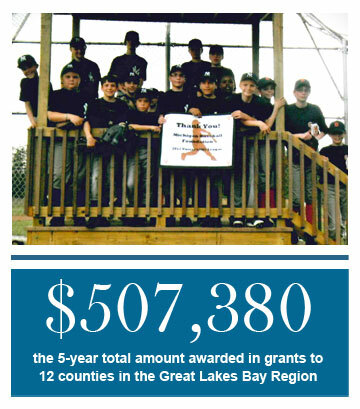 In the spring of 2012, the Michigan Baseball Foundation (MBF) announced the recipients of its fifth annual grant cycle. A total of $105,672 in grants was given to 29 non-profit organizations across 10 counties (Arenac, Bay, Clare, Gladwin, Huron, Isabella, Midland, Saginaw, Sanilac and Tuscola) of the Great Lakes Bay Region. The money awarded in grants assists MBF in fulfilling its mission of creating regional economic growth and supporting youth organizations. The 2012 grants bring the five-year total to $507,380. Among the 29 organizations receiving a grant was Vassar Little League, who accepted a $2,200 grant from the Michigan Baseball Foundation to construct a press box next to their field as well as enhance their scoreboard. Vassar Little League also used the grant to purchase a portable scoreboard to share between the girls softball teams and the junior boys teams. Vassar is located in Tuscola County, one of the 13 counties touched by the Michigan Baseball Foundation’s 2012 grant cycle. The Michigan Baseball Foundation has awarded 154 grants to deserving non-profit organizations over five seasons and is, as of November 15, currently in the process of collecting grant applications to be considered for the sixth grant selection cycle. The grant application form can be downloaded to the right or picked up at Dow Diamond, weekdays from 9 a.m. - 5 p.m. To be considered for a grant from MBF, the organization must meet one or more of the following guidelines, which reflect the purposes for which the Michigan Baseball Foundation operates. 1) The organization contributes to regional economic development by expanding employment opportunities and promoting the general welfare of the area. 2) The organization is based in the Great Lakes Bay Region and serves young people. 3) The funded project promotes amateur sports and fitness. All grant applications must be received by the Michigan Baseball Foundation (825 E. Main St.; Midland, MI 48640) by February 18, 2013 via mail or in person at Dow Diamond. One of MBF’s fundraisers this summer were the Loons Summer Baseball Camps, where the region’s future All-Stars received personal instruction from Loons manager John Shoemaker, as well as various Loons players. In two summers and 168 happy campers, the Loons Summer Baseball Camps have generated $19,020 for the Michigan Baseball Foundation. 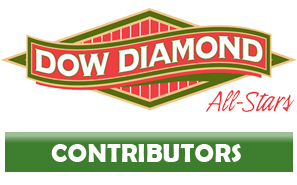 MBF created the Dow Diamond All-Stars, a charitable giving program that enables its members to contribute to future enhancements of Dow Diamond, with the goal of strengthening Dow Diamond's role as an engine of economic growth, charitable giving, and high quality of life for the region. The first of these enhancements was witnessed during the 2012 season, in the upgraded suite level and bar area known as the Great Lakes Reserve presented by Chemical Bank. Funds for the Reserve were raised through the continued support of fans attending Loons games and special events at Dow Diamond, as well as individuals and organizations supporting the Michigan Baseball Foundation, like its Dow Diamond All-Stars. 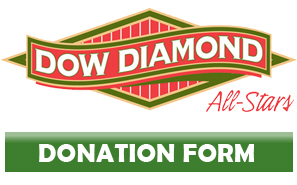 You can help MBF keep the diamond shining and prepare for other future enhancements like the Reserve by making a tax-deductible donation to the Dow Diamond All-Stars Fund. For more information about the Michigan Baseball Foundation, contact Emily Schafer at 989-837-6137 or via email at eschafer@loons.com.